I ‘ve been watching the hype about the 327 Federal Magnum cartridge and wondering where it might fit in my personal defense strategy. I like to have backup guns in strategic locations – my truck console, my laptop case, even the pocket of my jeans. Last year I had a Taurus Ultralite revolver in .22 magnum. It was just the right size and I figured .22 magnum would at least get someone’s attention, especially since it carried 8 rounds, but I didn’t like the heavy double-action trigger pull on that particular gun. A trade opportunity came along and I took advantage of it. That left a small revolver gap in my defense arsenal. Cheaper Than Dirt in Fort Worth ran a Taurus sale one week and the advertised price for the little 327 Federal Magnum revolver was just too low to pass up. The cartridge is similar in size to the .30 caliber rounds I carried in the M2 Carbine I kept on the back of the seat in my helicopter in Vietnam. I read the specs and found the cartridge is loaded to around 40,000 psi pressure, making it have more impact velocity than even a 357 Magnum. It’s a pretty gun – mine’s stainless steel – and fairly lightweight. It holds 6 rounds. I took it to the range and not surprisingly, it’s loud and it ‘s got a fair amount of recoil. It is not painful to shoot, but you wouldn’t want to shoot it all day. 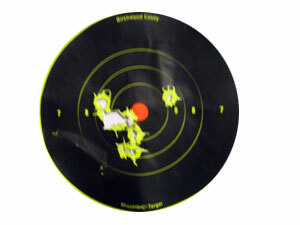 From approximately 10 feet away I put most of my rounds somewhere near the center of the target. I find the gun is easy to hide and I expect it to be totally reliable. When you pull the trigger on a revolver you can usually count on it to go “bang.” This one will do that six times. If I place my shots carefully and make them count I have no doubt the 327 magnum bullets will stop somebody in their tracks! Personally, I’ve been amazed at how easy the Taurus 24 /7 DS Pro has been to carry as a daily concealed carry weapon, especially since I’ve previously carried various 9mm semi-automatics. I borrowed my former 9mm pistol for a little show and tell. I can show you better with pictures than with a lot of writing, but I do want to mention just a couple of things before show and tell. First, in size the guns are almost identical. The perspective in some of my photos may skew that a bit, but they are very difficult to tell apart. The magazine wells are at slightly different angles and of course the 45 is a tad wider. The ejection port is slightly larger on the 45, and of course the inside dimension of the barrel is bigger – not the outside, though. The external barrel dimensions are almost identical. The guns weigh the same. Empty, they weigh in at 18 ounces on my postal scale. The loaded magazines–17 rounds in the 9mm and 12 rounds in the 45–both tipped the scale at 10 ounces. So there you have it – 28 ounces fully loaded. The double action trigger pull on the 45 seems a little longer to me–not harder, just longer. They both point and shoot the same. I’m sure the 45 has more recoil, but honestly, I don’t notice it and am able to get back on target quickly. I hope this is helpful for anyone trying to decide. The price is the same, at least where I bought mine. $379 at Academy Sports. 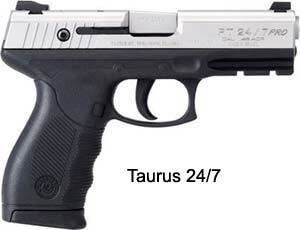 Taurus upgraded the 24/7 series, along with the Millennium Pro series a couple of years ago. The new guns are supposed to be better, but frankly, I’m glad I still have my old ones. There was some issue that resulted in a law suit claiming the originals would, or rather could, fire if dropped at a certain angle. 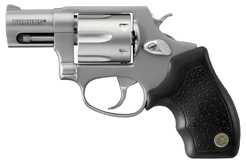 Taurus did the right thing by offering a repair/replace program to existing owners and modifying the guns resulting a G2 version. Either version are fine guns in my book. I grew up shooting revolvers. The first semi-automatic hangun I owned was a Stoeger Cougar 8000 in 9mm. It was a sweet handling and shooting gun. My son liked it and I had been eyeing a Taurus 24/7, so I sold him the Cougar (at least it’s still in the family) and picked up a 9mm Taurus 24/7 at Academy Sports. The gun was winner from day one. No jams, no misfires and right on target. Plus the trigger was nice and smooth and easy. 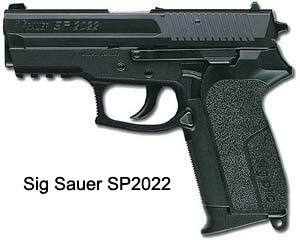 Since I was getting the gun bug, I soon bought a Sig Sauer SP2022 (it’s a Sig, right?) on sale at Cheaper Than Dirt for a really great price. You can read about that gun elsewhere in my blog, as well as the Beretta PX-4 Storm. Here I was with three 9mm semi-automatics (one to carry, one for the truck and one for the upstairs bedroom was my argument). I carried the Storm, kept the Taurus in the truck and the Sig upstairs. But on range day, I carried all three. Even though the Taurus was the least expensive of the three and the one from the company that has to fight against a bad rap from years gone by, it was the most fun to shoot and at least as accurate as the other, two, if not more so. Because I had so much invested in 9mm pistols and had good supply of ammunition, I tended to resist the magazine articles and instructor admonitions that for defensive carry, a 45 is better. It was while attending the NRA Handgun Instructor Course that it finally dawned on me. It wasn’t that I couldn’t effectively stop a bad guy with my 9mm. It was more about who else I might endanger while doing so. The instructor explained quite graphically, that even with hollow point ammunition, because of it’s muzzle velocity, a 9mm will shoot through things, including people and possibly hit innocents, even if they’re behind a wall. I sold the 9mm Taurus 24/7 and bought the 45 ACP version of what I thought was the same gun. It looks the same. It feels the same, even weighs about the same. It carries well. I loaded it up with some 230 grain hollow point ammunition and felt safe. Until I went to the range. Bang – jam. Bang – jam. Over and over. I took the gun home, cleaned it really well and tried it again. I got as much as a bang, bang jam out of it this time. I tried different ammo and discovered I could shoot FMJ (full metal jacket, also known as “ball”) ammo through it without jamming. It seemed at first it was a magazine problem. Taurus offered to send me a new one if I sent in the bad one, but I felt a little more testing was in order. I tried three different brands of 225-230 grain hollow point ammo: Winchester Supreme Elite, MagTech Gold and Remington Golden Sabre. None of them fed without jamming. They did what gun people call “nosediving” where the nose of the cartridge doesn’t slide up the ramp into the chamber like it’s supposed to. Most gun guys caution that it takes from 300 to 500 rounds to “break in” a new semi-automatic handgun. That wasn’t true with my 9mm Taurus. It was perfect right out of the box. But I after shooting 300 or so expensive rounds through the Taurus 45, it wasn’t getting any better. I made another stop at Cheaper Than Dirt and picked up two types of 185 grain JHP (jacketed hollow point) — Black Hills and Speer Gold Dot. Problem solved. I may try some other brands later, but for now, I’m satisified that my 45 will perform when and if called upon in a defensive situation. One of my mentors suggested trying Winchester Silvertip 185 Grain jacketed hollow points in the Taurus 45. After shooting two boxes of that ammunition with no failures I discovered that for this particular gun the break-in rule appeared to be real. It shoots anything and everything I feed it now with no problems whatsoever. Now that I’ve discovered the Ruger/Polycase ARX rounds, this .45 ACP Taurus 24/7 makes a nice addition to my carry gun rotation. I know many people opt for carrying the same gun all the time, but I like to vary my carry guns to justify having a “collection of them” (just kidding). The real reason is so that I have a broad experience from which to provide advice and guidance to the many students that come through our classes.